Bold and modern, the Diamond Earrings feature a simple black diamond illustration on a metallic white background. 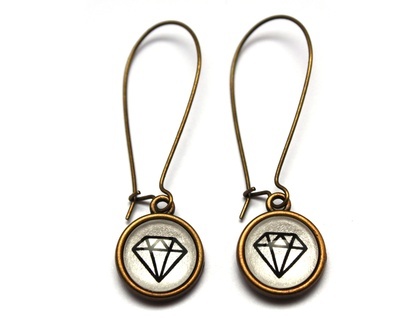 These also available in the shorter french lever back style earring (25mm total length). Please leave a comment at checkout if you would like this option. 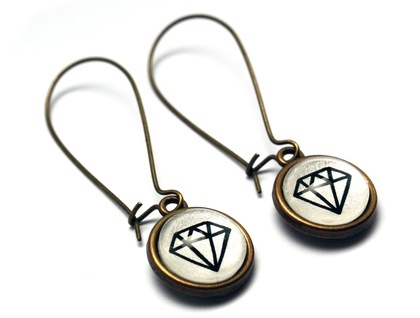 Please do not to swim or shower while wearing these earrings.